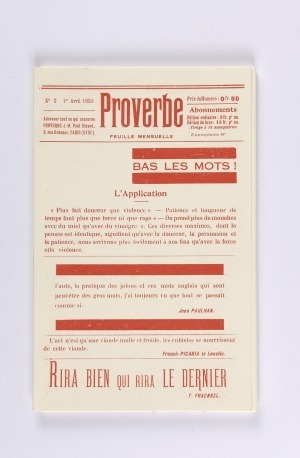 Proverbe: ‘Monthly pamphlet for the justification of words’. 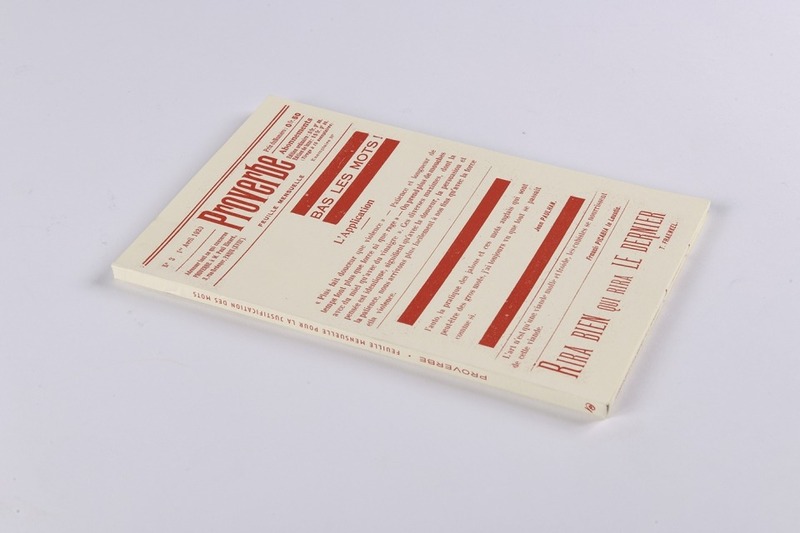 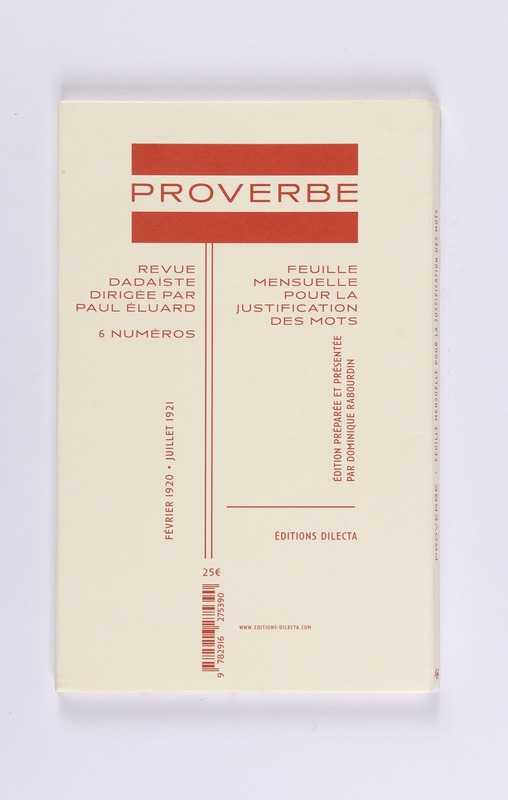 With five issues published between 1st February and 1st May 1920–and a sixth in the summer of 1921–Proverbe, founded and directed by Paul Éluard, is one of the most rare, most refined and most intriguing of the surrealist revues. 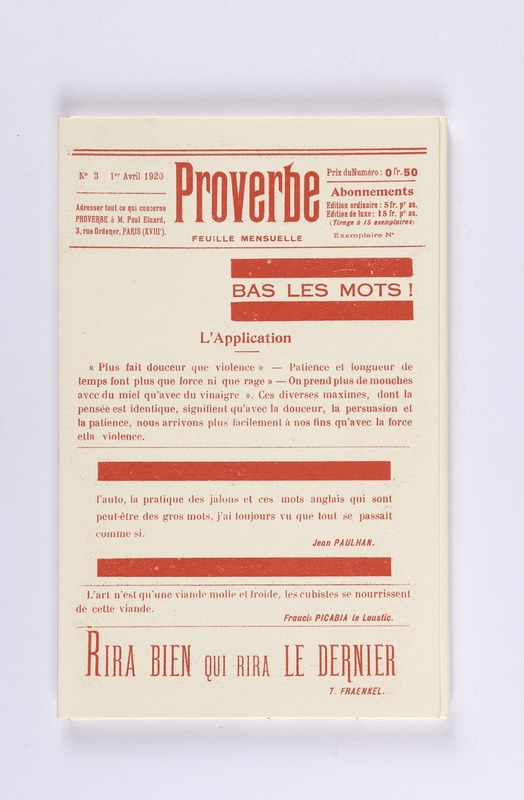 Above all, Proverbe included prestigious collaborators: the future surrealists Louis Aragon, André Breton and his friend Théodore Fraenkel; Philippe Soupault, Paul Éluard and of course, Benjamin Péret and Hans Arp; Francis Picabia, Georges Ribemon-Dessaignes, Tristan Tzara naturally; and, finally, Paul Éluard’s main accomplice in this unusual venture: Jean Paulhan. 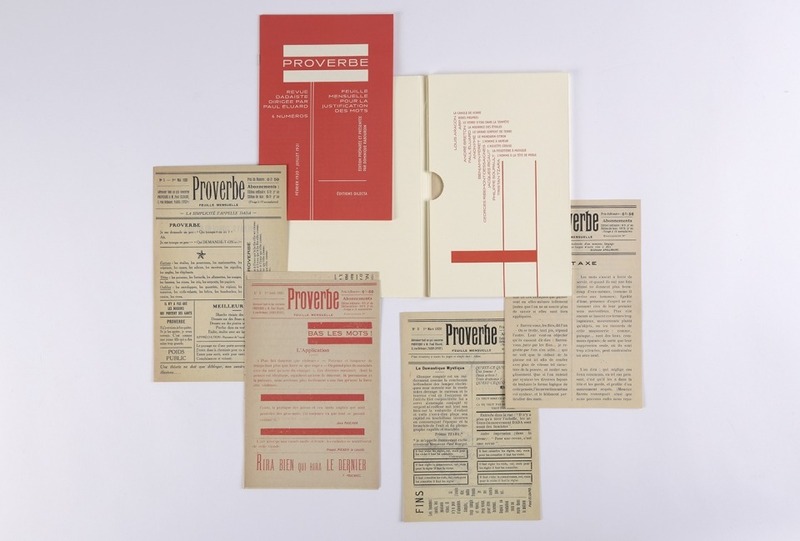 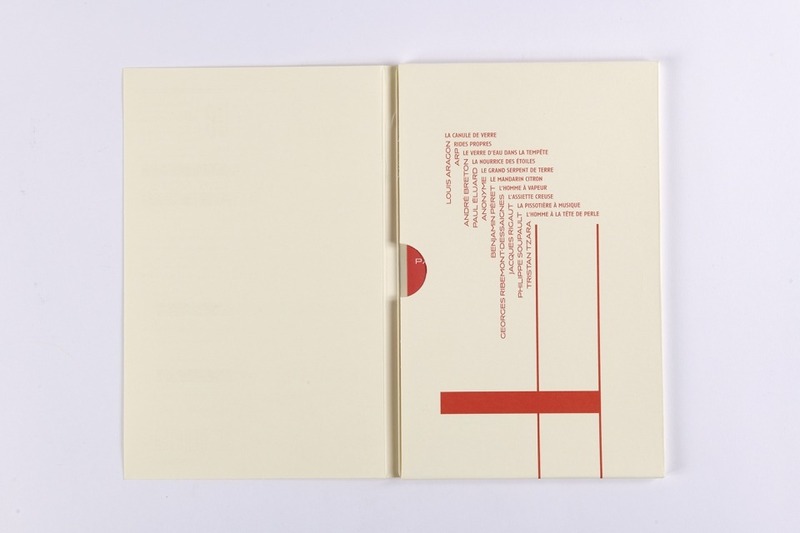 Les Éditions Dilecta have identically republished these six issues, accompanied by a presentation by Dominique Rabourdin, who was fortunate enough to have access to the precious correspondence between Paul Éluard and Jean Paulhan and the original layouts that belonged to Tristan Tzara.